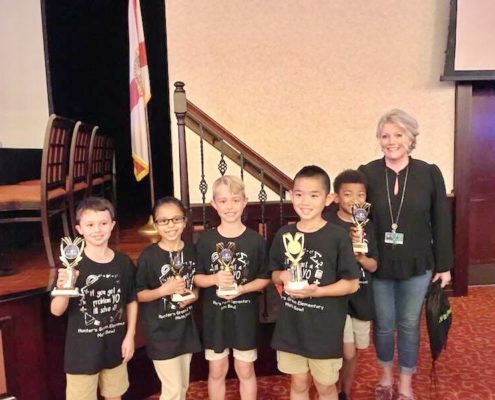 ​The third, fourth, and fifth grade students worked very hard on the Florida Standards Assessment. There is more testing to come in May. 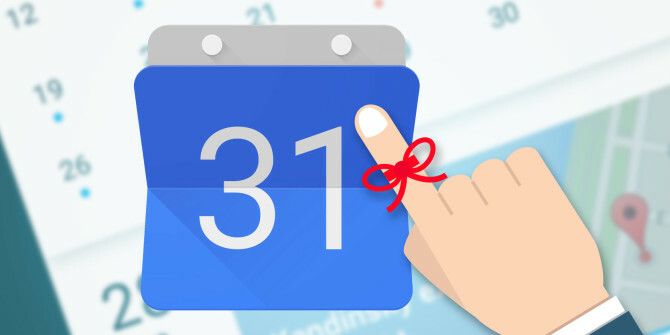 Please make sure not to schedule vacations during testing time. Students work very well when they can test with their class. ​We’d like to invite everyone to our Hunter’s Green Elementary Showcase on Friday, May 17, from 5:00 – 8:00. We will be highlighting all the wonderful things that are happening at our school. There will be club presentations, tables showcasing each grade level, PTA, and special resources, along with Kinderchorus, chorus, and special music group performances. We will also have another Kindergarten Round-Up that evening at 5:00 for those families that have children that will begin Kindergarten in the fall. Our lunchroom staff will be preparing some scrumptious meals that can be purchased for a small fee. 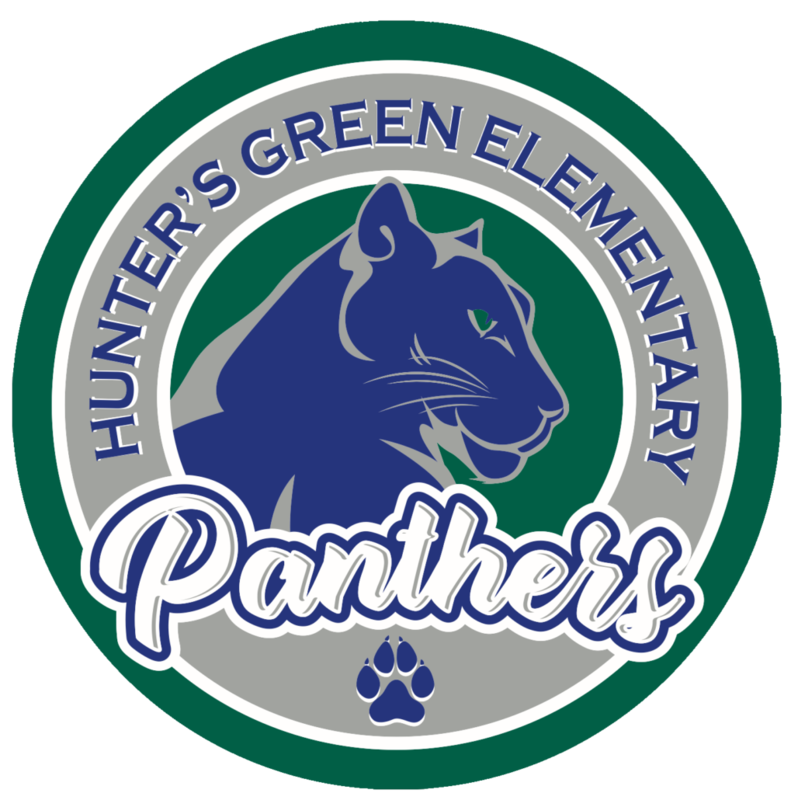 We’d also like invite any families that are currently enrolled at other schools that are interested in attending Hunter’s Green, or new students to the area to this fabulous event. ​Thanks so much for all you do! The yearbooks are $30 and only sold online. They will be available for purchase until April 10th. Every student is able to customize 2 pages within their own yearbook. Log onto the site above and start uploading your photos now to preserve your memories. 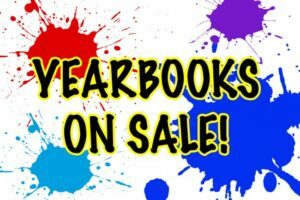 If you have photos you would like submitted for the yearbook, please email them to hgephotos@gmail.com. Avoid the Testing Blues – We’ve Got This! As we begin the 4th 9 weeks, we are excited to begin our 2018-2019 FSA / i-Ready testing season. Our school theme is CHAMPION this year, and the time has come to show all of our hard work and growth. Beginning April 2, third, fourth, and fifth grade will begin by testing. I have enclosed a calendar for you to post on your refrigerator. As with any CHAMPION, the road to receiving the trophy begins with a regimen, individual goals and hard work. Up until now, your child has worked very hard. As we begin testing, it is up to not only the individual students and teachers, but it is up to the individual parents to help prepare your child. Only by doing this as a team, can we accomplish all that we set out to do. The following are extremely important. • Please adhere to the testing schedule. We have limited make-up days so it is extremely important that parents schedule appointments around testing. Signing out early is strongly discouraged. • Please be on time. If you usually walk to the front gate, or are car riders, it is extremely important that your child arrives on time. A good suggestion would be to arrive at 7:05 so that he or she can get acclimated and ready to go. Tardies will only frustrate the student and they end up playing catch up all morning. • Have your child eat a good breakfast and get plenty of sleep the night before. • Talk to your child to ease any nerves and discuss the importance of doing their best and believing in oneself. Be their cheerleader and tell them that we are all proud of them and that they have got this! • Avoid electronics the day of testing. If a student’s electronic goes off, he or she’s test will become invalidated. • Remind students that they are not to discuss the content after testing and work independently during the testing session. The teachers and staff at Hunter’s Green will encourage your child daily. We look forward to a great testing session, and look forward to the last nine weeks. 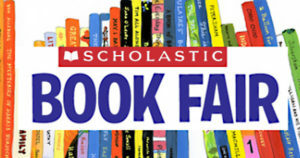 The Scholastic Book Fair is coming to HGE on Thursday, April 11th and will run through Thursday, April 18th. This is a great opportunity to stock up on books for summer reading! There will be extended hours on Conference Night (4/18) until 6:30 pm. 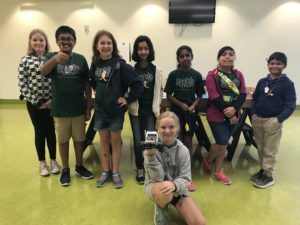 Congratulations to the HGE Robotics Team! They won Gold in the Portfolio division and Silver in the Robot Games! This team is made up of 4th and 5th grade students that dedicate a lot of time to this team! Make sure to congratulate them on a job well done! A special thanks to Mrs. Pahl for her leadership of this team! 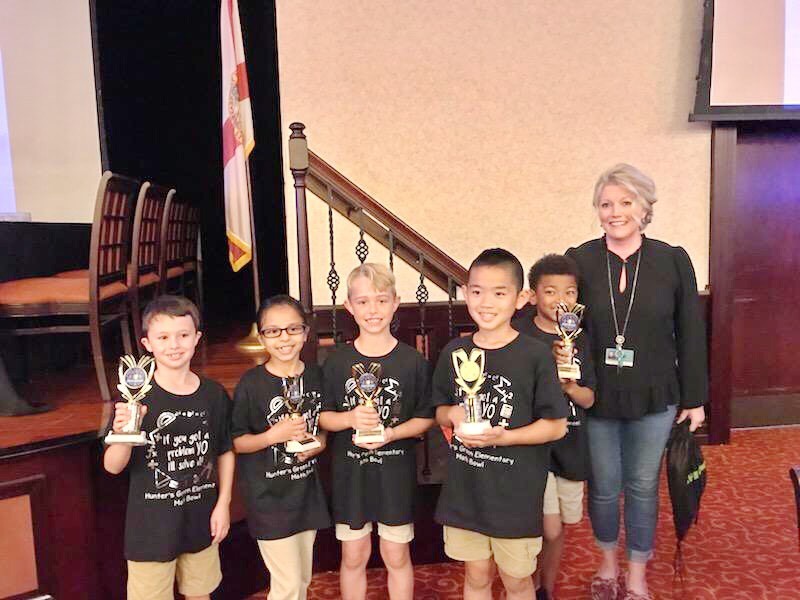 Congratulations to our 1st and 2nd Grade Math Bowl Teams! They competed at the district level and both brought home trophys! 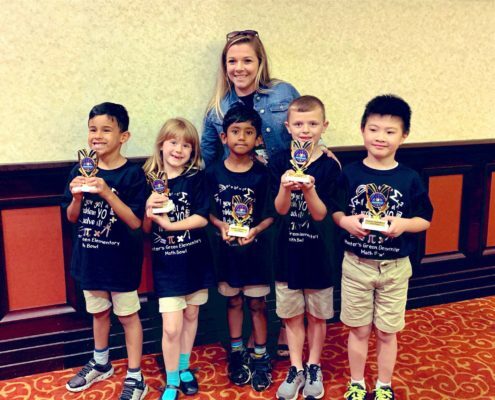 2nd Grade came in 2nd over all and 1st grade came in 3rd overall! Make sure to congratulation these students when you see them! A special thanks to Mrs. Koehler and Mrs. Lam for leading these teams! 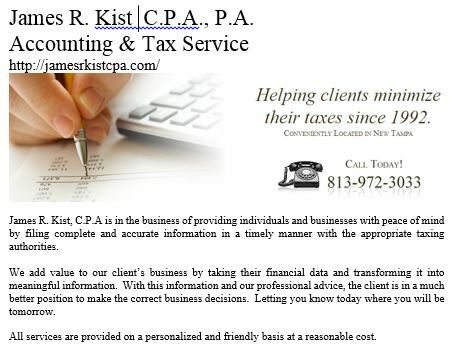 Thank you James Kist, CPA! Thank you to the firm of James R. Kist for helping the PTA with our accounting and taxes. 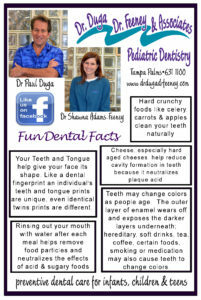 Contact the Radiance Orthodontics today at (813) 972-1100. Providing comprehensive healthcare to patients from infancy through adolescence.